The 500 attendees for the American Heart Association’s 20th Annual; Hamptons Heart Ball took this year’s theme to heart and definitely enjoyed their “Evening Under The Stars”. Set under amazing tents on the grounds of the Hayground School in Bridgehampton, the American Heart Association, once again proved that theirs was the party to be at last weekend, raising nearly $600,000 to help in the fight against cardiovascular diseases and stroke. Ivy Bar and Grill remains one of the most popular restaurants in New York’s thriving Hell’s Kitchen. Step inside and experience Ivy Bar & Grill beautiful and sophisticated décor, with exposed brick walls and an expansive bar and dining area. You will be welcomed by friendly and attentive staff that treats newcomers the same as their most loyal clientele. 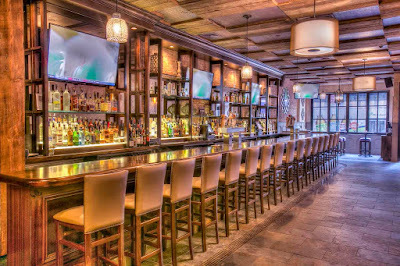 Patrons can watch their favorite sports team over drinks at the bar or host an intimate gathering in one the cozy booths or in the private VIP area in the back. Wooden tables, burning candles, and decorative lanterns create a warm space to enjoy time spent with friends and family. Now New Yorkers will have even more of a reason to visit Ivy to enjoy the new Taco Tuesday. Diners can enjoy a choice of 3 tacos (pork, steak, and chicken) and a house margarita, just for $19.99. Moscow Mule Monday’s drinks will be $7.00 each. 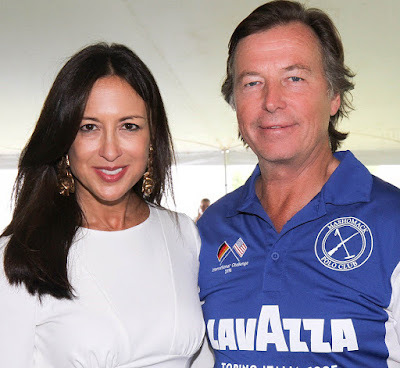 The Mashomack Polo Club hosted its 19th Annual Mashomack International Polo Challenge Luncheon recently. The event began at noon with a Champagne Reception followed by a Tented Field-Side Luncheon and the exciting International Polo Challenge match. Five teams battled to secure the coveted trophy for their team and country, which included Team Germany, Dream Hotels, Hillrock Distillery, Quest Magazine and Lavazza Coffee. Team Germany - Mercedes Wappinger Falls fought off the four other challengers to claim the victory of the day. Radio personality, author and actress Angie Martinez enjoyed a relaxing vacation at Ocho Rios’ newest luxury all-inclusive Moon Palace Jamaica Grande. While at the AAA Four Diamond property, “The Voice of New York” enjoyed the resort’s unmatched amenities, multiple lavish swimming pools, top-shelf liquor and gourmet cuisine. Martinez also had a blast swimming with the friendly dolphins at the property’s dolphin habitat. For more information on Moon Palace Jamaica Grande, please visit www.MoonPalaceJamaica.com. ABC News Anchor Diane Sawyer has the first television interview with Jaycee Dugard five years after their first sit down following her miraculous rescue from captivity. Dugard will discuss adjusting to a new life and reintegrating into society, which she reveals in her new memoir “Freedom: My Book of Firsts.” The Diane Sawyer special edition of “20/20” will air Friday, July 8 (10:00-11:00 p.m. ET) on ABC. Sawyer interviewed Dugard in 2011 when she talked about her horrendous experience in captivity for the first time on the eve of the release of her first memoir “A Stolen Life.” Dugard was kidnapped when she was 11 years old, held in captivity by Phillip and Nancy Garrido for 18 years and gave birth to two daughters. 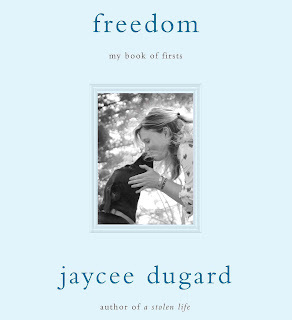 “Freedom: My Book of Firsts” will be released on Tuesday, July 12 by Simon and Schuster. Jenny Slate visited The Late Show With Stephen Colbert yesterday in New York City. Jenny Sarah Slate is an American comedian, actress, voice artist and author best known for her role as Donna Stern in Obvious Child, as well as being the co-creator of the Marcel the Shell with Shoes On short films and children's book series. Today on ABC’s “The View,” Senator Elizabeth Warren joins the co-hosts via satellite from Washington DC. They will discuss her endorsement of Hillary Clinton, campaigning with her for the first time, reports that she is being vetted for Vice President and her outspoken criticism of presumptive Republican nominee Donald Trump. 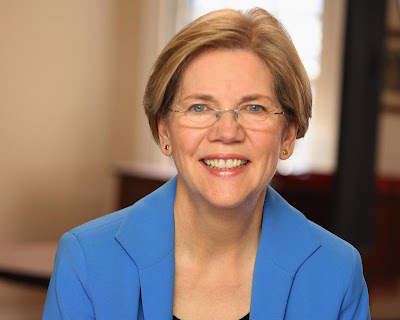 Senator Warren previously appeared on “The View” this season on the premiere, September 8, 2015. 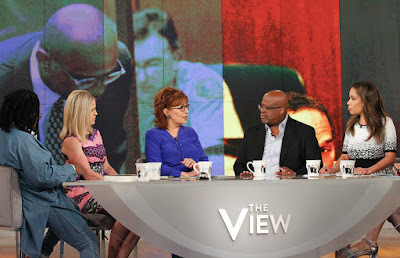 “The View” airs 11:00 a.m.–12:00 p.m. EDT on ABC. Khloe Kardiashian leaves the studio and poses for pictures with fans in Sherman Oaks California recently. Julianne Hough heads to the gym in Studio City California recently. Now we know how she looks so good! Alysia Reiner was spotted recently looking drop dead gorgeous in New York City. 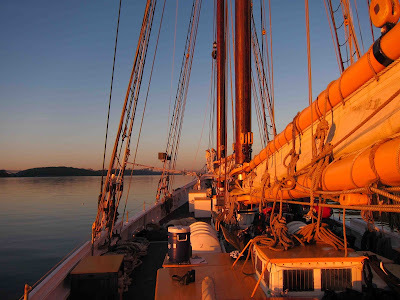 The South Street Seaport Museum announces Seafarers Camp - set sail for adventure aboard schooner Lettie G. Howard for weeklong sail camps out of New York Harbor for grades 7-12. Become crew-in-training as you and your fellow shipmates form strong bonds and work together to learn how to sail a traditional tall ship. The authentic live-aboard experience provides trainees with rewarding lessons in teamwork, communication, and self-reliance. For more information or to register visit https://southstreetseaportmuseum.org/seafarers-camp or email us at lettieghoward@seany.org. Appropriate for their big screen debut, Edina Monsoon and Patsy Stone (Jennifer Saunders and Joanna Lumley) are still oozing glitz and glamour, living the high life they are accustomed to: shopping, drinking and clubbing their way around London's trendiest hotspots. But when they accidentally push Kate Moss into the River Thames at an über-fashionable launch party, Eddy and Patsy become entangled in a media storm surrounding the supermodel's untimely demise and are relentlessly pursued by the paparazzi. Fleeing penniless to the glamorous playground of the super-rich, the French Riviera, they hatch a plan to make their escape permanent and live the high life forever more. Chef John Ross, author of The Poetry of Cooking will be appearing at The East End Seaport Museum & Marine Foundation in Greenport, New York on Friday, July 1st at 7pm. 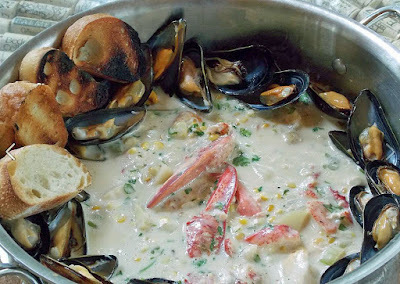 The legendary North Fork Chef, restaurateur, manager, educator, columnist, writer and home cook will be firing up his ‘little green egg’ grill and cooking Cedar Grilled Lobster Stew with Scallops. There will be tasting samples of his signature dish (along with local wine) prepared from his newest release, The Poetry of Cooking. The book illustrates how easy it is for anyone to cook delicious, healthy meals from fresh, locally sourced ingredients any month of the year. This event will be a testament to that. 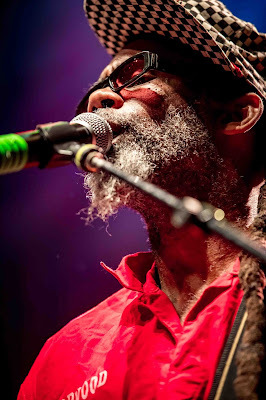 FISHBONE was in concert at Brooklyn Bowl in Las Vegas, Nevada the other night to a huge crowd. 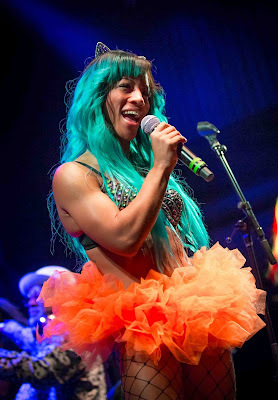 George Clinton and Parliament Funkadelic performed at Brooklyn Bowl at The Linq in Las Vegas, Nevada the other night. A View Exclusive: Former O.J. Simpson Prosecutor Christopher Darden Says Simpson Confessed to Murder During Trial, Reflects On Him Trying On Infamous Glove; Discusses Freddie Gray Verdict & More. Double dates are fun, but one-on-one is where the sparks can really fly! Taylor Swift and Tom Hiddleston might know a little something about this. Last night, the new couple went on a romantic dinner date to Ruth's Chris Steakhouse in downtown Nashville, and E! 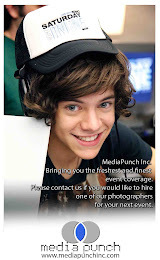 News has exclusive photos and details from their "intimate" night out. Taylor, 26, and Tom, 35, "seemed very comfortable with each other," says an onlooker. Unlike the previous night of dancing at Selena Gomez's concert alongside Taylor's longtime BFF Abigail and her boyfriend, Wednesday night "was an intimate solo dinner date." The singer and Thor star were seated in a small area off to one side of the main restaurant which seemed to be more private than the general dining area. Taylor and Tom "were by themselves on the date, but surrounded by security," says an onlooker. Actress Hilary Duff joins Stella Artois to help kick-off a summer of hosting memorable moments in New York City yesterday. 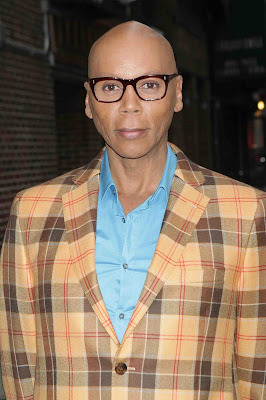 RuPaul AKA Andre Charles, visited The Late Show With Stephen Colbert yesterday in New York City. New Jersey Performing Arts Center (NJPAC) presents an evening with 1970s heartthrob David Cassidy. Come on, get happy! 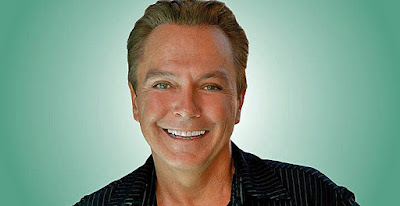 The Partridge Family’s David Cassidy performs hits from the ‘70s TV show (“I Think I Love You,” “I Woke Up in Love This Morning”), along with favorites from his solo career (“Cherish”). By the time he was 20, David Cassidy had become the biggest performing phenomenon on television. Over four decades, he has reinvented himself in theater, Las Vegas and recording studios as an actor, singer, producer, writer and director. A multiple Grammy nominee, he broke box office records and sold well over 30 million albums worldwide. Under his creative direction, the $75 million extravaganza EFX at the MGM Grand became the most successful production in Las Vegas. Blake Lively looked stunning as she attended 'The Shallows' World Premiere at AMC Lincoln Square in New York City. A signature Lawrence Scott Event offers guests a chance to enter a magical environment that allows them to escape and connect in a magnificent space unlike any other. Event themes are limitless and have covered weddings, bar/bat mitzvahs, birthdays, charity galas, corporate events, sports themed events and more – no challenge is too big for this events guru and his team of skilled caterers and party planners. 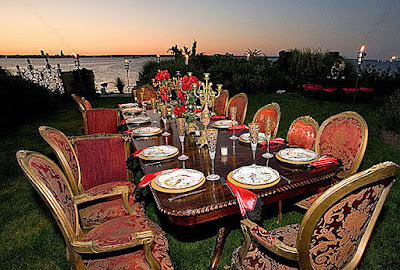 Customized events are offered all over the tristate area and the East End, and past clients include the Make-A-Wish Foundation’s annual ball An Evening of Wishes, Hamptons Magazine’s 35th anniversary fête, thrown at the stunning Sculpture Fields of Nova’s ARK Project in Bridgehampton, and the UJA-Federation’s Summerfest cocktail party, featuring a glittering array of private soirées. Lawrence Scott has a long undisclosed list of loyal A-list celebrity clients that keep rehiring him for his bespoke events and discreet and personable approach. 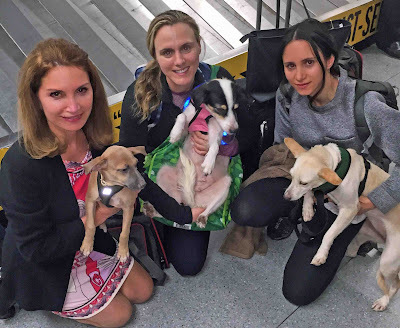 Spotted Recently -- The philanthropist and author Jean Shafiroff was spotted with daughter Elizabeth Shafiroff and Lindsey Spielfogal at Kennedy Airport with three Nicaragua rescue dogs. The women were returning from Managua, Nicaragua where they spent a week meeting with various different animal rescue groups. The women gave support to several animal groups, met with the press to discuss the urgency of enforcing animal protection laws and then returned to the United States with 3 rescue dogs. They are available for adoption through Social Tees Animal Rescue. All potential adopters will be subject to a background check. 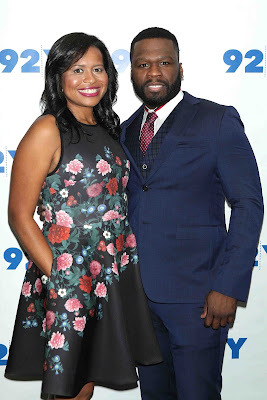 Courtney A. Kemp and Curtis "50 Cent" Jackson visited the 92Y on a hot day yesterday in New York City. Natasha Leggero visited The Late Show With Stephen Colbert yesterday in New York City. International Fashion designer Romona Keveža hosted an Exclusive Cocktail Party in honor of The Evelyn Alexander Wildlife Rescue Center of the Hamptons and its 10th Annual GET WILD Summer Gala in her iconic New York Penthouse Flagship at One Rockefeller Plaza. Keveža showcased some spring 2016 pieces and red carpet classics favorited by celebrities such as Angelina Jolie, Ariana Grande and Kate Beckinsale. About one hour into the event, Shelley Berkoski, Director of Development at The Evelyn Alexander Wildlife Rescue Center, thanked the guests for attending the event, and Romona Keveža for hosting it in her beautiful flagship. Berkoski also went on to thank the honorees in attendance; Ingrid Arneberg, Will Marin and Frances Cole Jones as well as mentioning the GET WILD Gala and how people can help contribute to the rescue of wild animals on the East End by attending the event and donating to the rescue center. What should you buy for the father that has everything? Treat them to a bottle of Manhattan Moonshine. A soft, approachable Whiskey with incredible complexity, Manhattan Moonshine has been carefully crafted to be the perfect Whiskey for cocktails and for the warmer months. 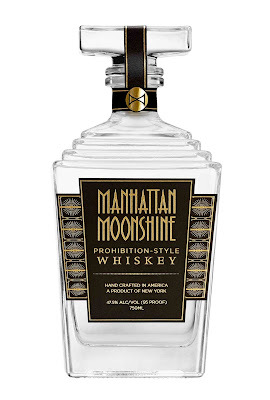 Unlike the darker Whiskeys that can be cloying in the warm weather even over ice, Manhattan Moonshine is barely aged in oak, meaning that its flavor is lighter and softer and is refreshing even on the hottest, most humid summer days. Because of this lighter flavor, Manhattan Moonshine can make an almost endless variety of cocktails, from Manhattans to Mint Juleps to Margaritas, meaning it can easily replace the liquor in your father's drink of choice. Pick up a bottle today and if you are lucky, maybe he will share!